Board of directors and management of a bank should comprise of the competent and professionally skilled persons with a view to ensuring good and corporate governance in the bank management. It is also inevitable to have specific demarcation of responsibilities and authorities between these controlling bodies over bank’s affairs. In absence of specific division of responsibilities and authorities, even in spite of these bodies’ being formed with skilled and efficient persons, the desired goals of an institution cannot be achieved due to lack of transparency and accountability of all concerned. Such kind of situation is more undesirable in an institution like bank-company as it deals with huge public money and interests of the depositors. (i) The board shall determine the objectives and goals and to this end shall chalk out strategies and work-plans on annual basis. It shall specially engage itself in the affairs of making strategies consistent with the determined objectives and goals and in the issues relating to structural change and reorganization for enhancement of institutional efficiency and other relevant policy matters. (ii) The board shall have its analytical review incorporated in the Annual Report as regard the success/failure in achieving the business and other targets as set out in its annual work-plan and shall apprise the shareholders of its opinions/recommendations on future plans and strategies. It shall set the Key Performance Indicators (KPIs) for the CEO and other senior executives and have it evaluated at times. (i) The policies, strategies, procedures etc. in respect of appraisal of loan/investment proposal, sanction, disbursement, recovery, rescheduling and write-off thereof shall be made with the board’s approval under the purview of the existing laws, rules and regulations. The board shall specifically distribute the power of sanction of loan/investment and such distribution should desirably be made among the CEO and his subordinate executives as much as possible. No director, however, shall interfere, directly or indirectly, into the process of loan approval. (ii) The board shall frame policies for risk management and get them complied with and shall monitor at quarterly rests the compliance thereof. The board shall be vigilant on the internal control system of the bank in order to attain and maintain satisfactory qualitative standard of its loan/investment portfolio. It shall review at quarterly rests the reports submitted by its audit committee regarding compliance of recommendations made in internal and external audit reports and the Bangladesh Bank inspection reports. (i) Policies relating to recruitment, promotion, transfer, disciplinary and punitive measures, human resources development etc. and service rules shall be framed and approved by the board. The chairman or the directors shall in no way involve themselves or interfere into or influence over any administrative affairs including recruitment, promotion, transfer and disciplinary measures as executed under the set service rules. No member of the board of directors shall be included in the selection committees for recruitment and promotion to different levels. Recruitment and promotion to the immediate two tiers below the CEO shall, however, rest upon the board. Such recruitment and promotion shall have to be carried out complying with the service rules i.e., policies for recruitment and promotion. (ii) The board shall focus its special attention to the development of skills of bank’s staff in different fields of its business activities including prudent appraisal of loan/investment proposals, and to the adoption of modern electronic and information technologies and the introduction of effective Management Information System (MIS). (i) The annual budget and the statutory financial statements shall finally be prepared with the approval of the board. It shall at quarterly rests review/monitor the positions in respect of bank’s income, expenditure, liquidity, non-performing asset, capital base and adequacy, maintenance of loan loss provision and steps taken for recovery of defaulted loans including legal measures. (ii) The board shall frame the policies and procedures for bank’s purchase and procurement activities and shall accordingly approve the distribution of power for making such expenditures. The maximum possible delegation of such power shall rest on the CEO and his subordinates. The decision on matters relating to infrastructure development and purchase of land, building, vehicles etc. 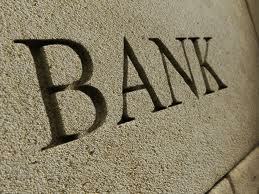 for the purpose of bank’s business shall, however, be adopted with the approval of the board. (f) Formation of supporting committees: For decision on urgent matters an executive committee, whatever name called, may be formed with the directors. There shall be no committee or sub-committee of the board other than the executive committee and the audit committee. No alternate director shall be included in these committees. (g) Appointment of CEO: The board shall appoint a competent CEO for the bank with the approval of the Bangladesh Bank. (a) As the chairman of the board of directors (or chairman of any committee formed by the board or any director) does not personally possess the jurisdiction to apply policymaking or executive authority, he shall not participate in or interfere into the administrative or operational and routine affairs of the bank. (b) The chairman may conduct on-site inspection of any bank-branch or financing activities under the purview of the oversight responsibilities of the board. He may call for any information relating to bank’s operation or ask for investigation into any such affairs; he may submit such information or investigation report to the meeting of the board or the executive committee and if deemed necessary, with the approval of the board, he shall effect necessary action thereon in accordance with the set rules through the CEO. However, any complaint against the CEO shall have to be apprised to Bangladesh Bank through the board along with the statement of the CEO. (c) The chairman may be offered an office-room, a personal secretary/assistant, a telephone at the office and a vehicle in the business-interest of the bank subject to the approval of the board. The adviser, whatever name called, shall advise the board of directors or the CEO on such issues only for which he is engaged in terms of the conditions of his appointment. He shall neither have access to the process of decision-making nor shall have the scope of effecting executive authority in any matters of the bank including financial, administrative or operational affairs. (a) In terms of the financial, business and administrative authorities vested upon him by the board, the CEO shall discharge his own responsibilities. He shall remain accountable for achievement of financial and other business targets by means of business plan, efficient implementation thereof and prudent administrative and financial management. (b) The CEO shall ensure compliance of the Bank Companies Act, 1991 and/or other relevant laws and regulations in discharge of routine functions of the bank. (c) The CEO shall include information on violation of any law, rules, regulation including Bank Company Act, 1991 while presenting memos before the Board or the committee formed by the board. (d) CEO will provide all sorts of information to Bangladesh Bank about the violation of Banking Companies Act, 1991 and/ or any violation of Laws, rules and regulations. (e) The recruitment and promotion of all staff of the bank except those in the two tiers below him shall rest on the CEO. He shall act in such cases in accordance with the approved service rules on the basis of the human resources policy and sanctioned strength of employees as approved by the board. The board or the chairman of any committee of the board or any director shall not get involved or interfere into such affairs. The authority relating to transfer of and disciplinary measures against the staff, except those at one tier below the CEO, shall rest on him, which he shall apply in accordance with the approved service rules. Besides, under the purview of the human resources policy as approved by the board, he shall nominate officers for training etc. Board of Directors may meet once or more than once in a month if necessary; but Board of Directors shall meet once in every three months. The number of Executive Committee members shall not exceed seven. The directors shall be aware of banking related laws, rules and regulations through proper training.